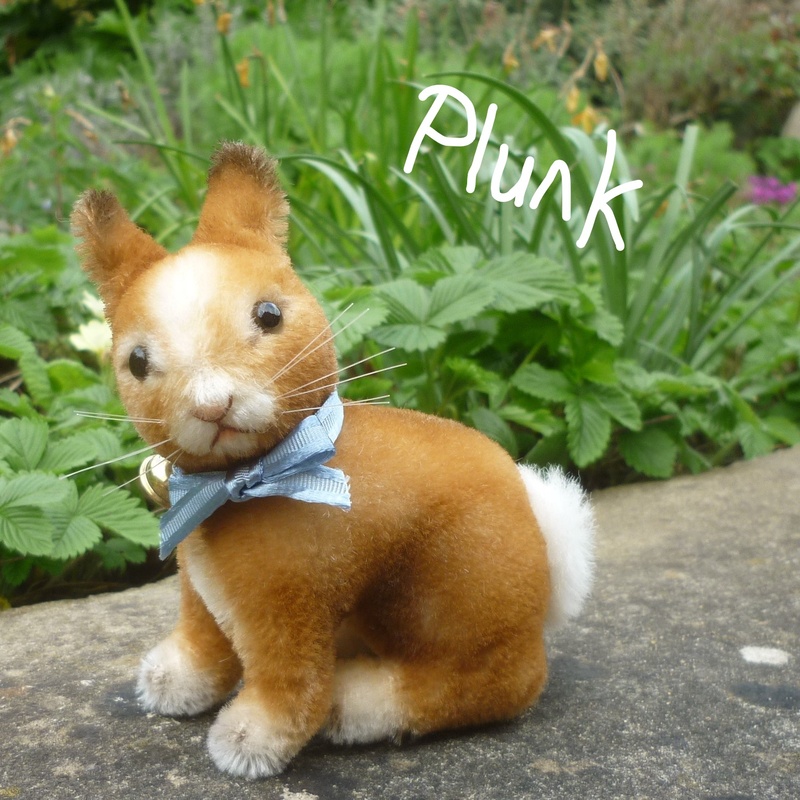 Meet Plunk’, ‘Hop’ and ‘Wobble’ – a delightful trio of bunnies! 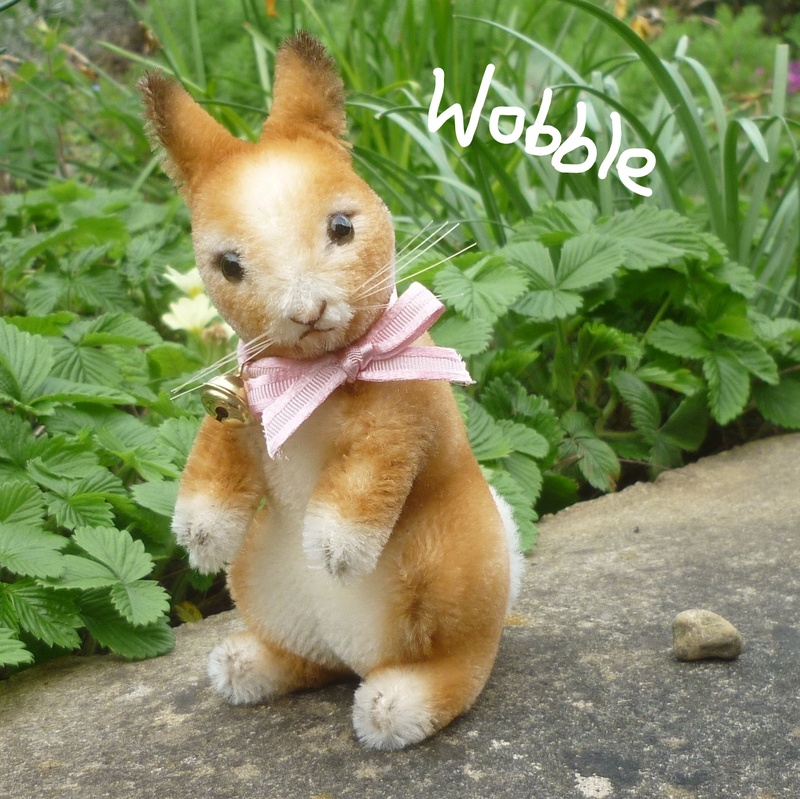 Plunk is in a seated pose, Hop is running, and Wobble is standing. 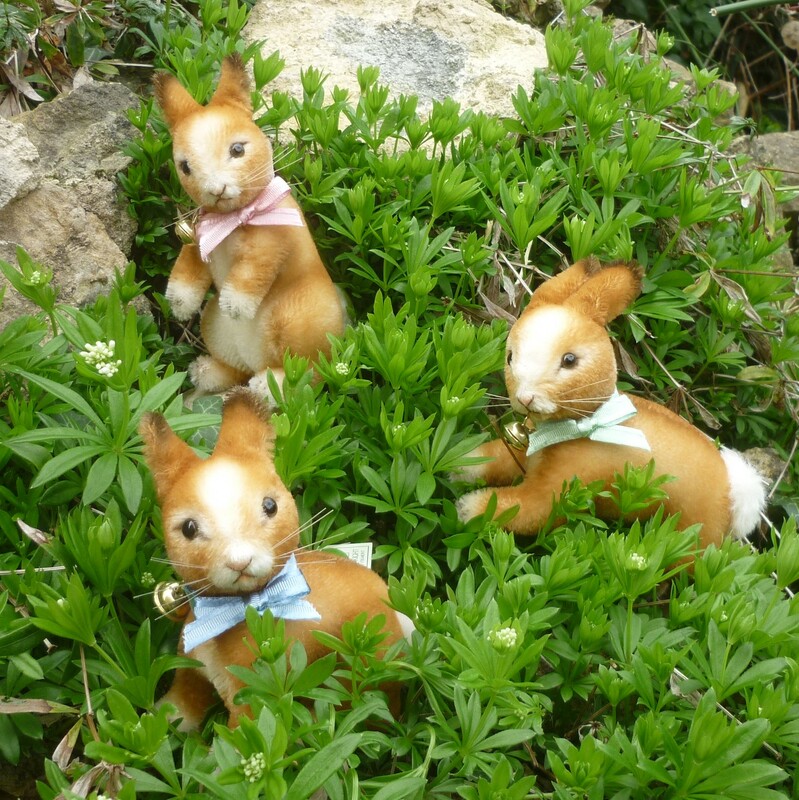 All three are made of the finest white Shulte mohair from Germany with artistic airbrushed coloration. Jointed at the neck for playful posing, each bunny has glass pupil eyes, hand-embroidered features, and inset horsehair whiskers. 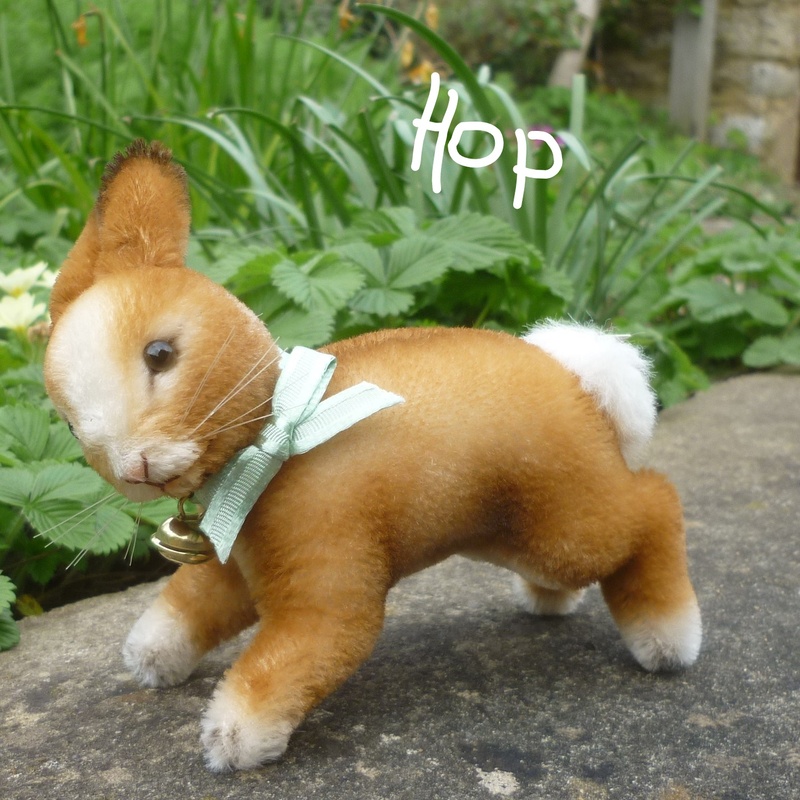 A brass bell is attached to a pure silk ribbon around each bunny’s neck. Produced in a small edition of 250 pieces, included is the signed and numbered certificate of authenticity and the forms for owner registration. SPECIAL NOTE: the first 100 will be sold boxed together as matched number sets.